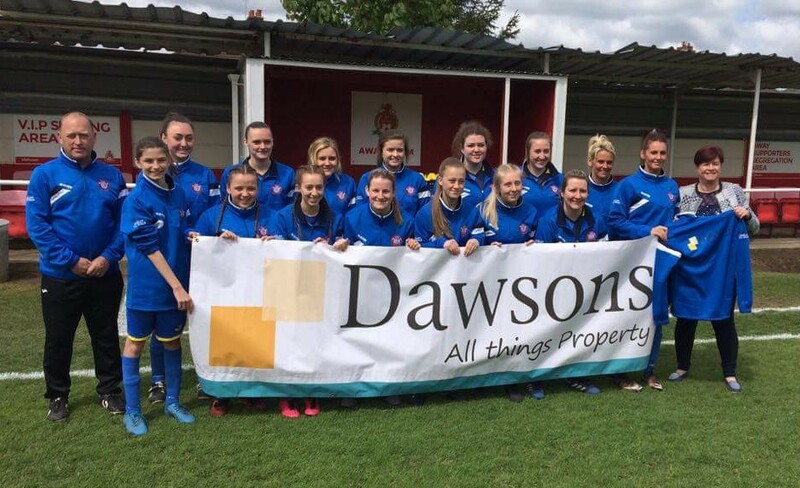 In only their first season Rhos Ladies, whose training tops were sponsored by Dawsons Property, finished runners up in the West Wales League. In a fine season they also only just lost out in the final of the West Wales Cup losing to Dafen 4-3 at Britton Ferry. In the cup final Rhos dominated for large periods of the game but were denied by the Dafen goalkeeper who pulled off a number of excellent saves. Rhos have now been promoted and are just below Swansea City Ladies in the Welsh League. Dawsons is looking forward to being the main sponsor of the Burry Port Fun Raft Race which is now only days away. 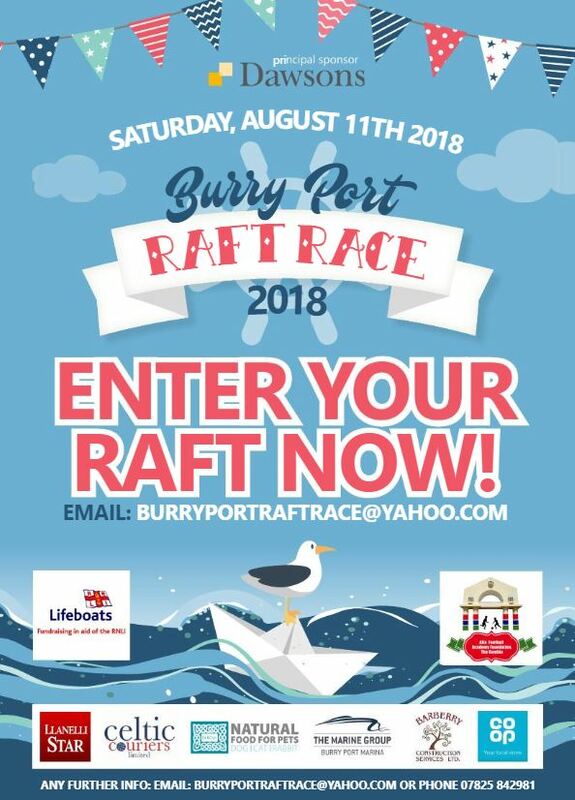 The race takes place on Saturday, 22nd July at 6pm and is in aid of Burry Port RNLI & Afia Banjul Children’s Football Academy, The Gambia and promises to be a fantastic day out for the family. “We are delighted to be sponsoring the Raft Race especially as it is raising money for such good causes,” said Chris Hope, Dawsons Senior Partner. “One of our offices is in Llanelli and many of our staff are from the Burry Port area, so we had no hesitation in getting involved. The event is being covered by TV, radio and the written media and promises to be a memorable evening. You can enter a team made up of 4 to 10 adults, aged 16 years and over. Entry is £50 and each team is being asked to raise a minimum of £100 deposit. All crews are required to design and build their own rafts and paddles using begged, borrowed but not stolen materials. Awards are on offer including best dressed raft, last raft over the line and first to sink. There will be food and drink available, live music and special guests: Cyril The Swan, Cochyn The Dragon (Scarlets mascot) and your favourite characters from The Party Factory. There will also be children’s inflatables there. As well as Dawsons the event is also being sponsored by the Llanelli Star, JR Events & Catering, Burns Pet Nutrition and Burry Port Co-op. Staff and pupils at Newton Primary School are getting ready for their Summer Fair which is being sponsored by Dawsons Property. The estate agent has donated £250 towards the fair, which will be held at the school on Sunday, July 16 from 12pm, will help the school’s fundraising efforts. “We are delighted to be sponsoring this year’s school fair and Dawsons believe the link we have within our communities is paramount to our businesses success, so therefore we make a conscious effort to support local events,” said Dawsons’ Senior Partner Chris Hope. 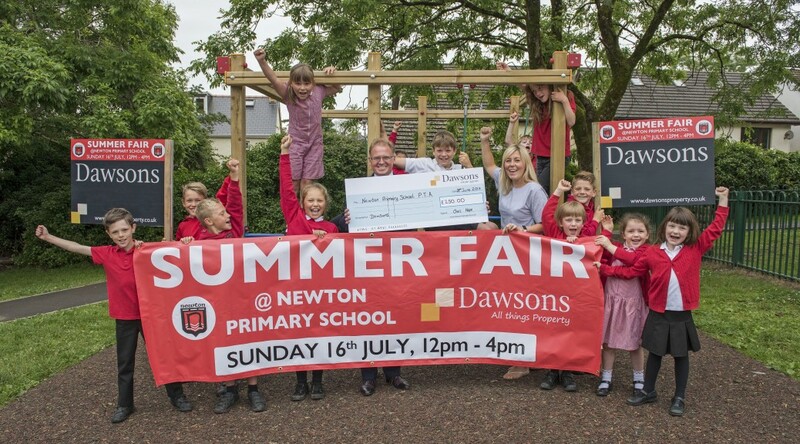 Newton Head Teacher Helena Rees said: “We are very grateful for Dawsons continued support and sponsorship for this summer’s fair. “As well as Dawsons’ contribution I am extremely grateful to our PTA who have raised a lot of money for the school, which with budget cuts and the age of austerity is very welcome. On the day, there will be visits from the Fire Service and the RNLI, with a bouncy castle, face painting and sumo wrestling, as well as a Pimms and beer Tent for the adults. 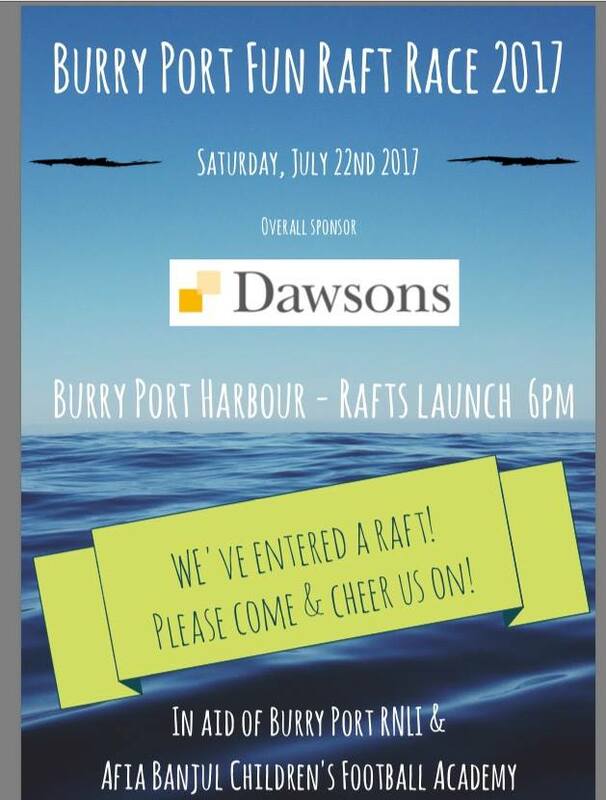 As well as sponsoring Newton School Fair, Dawsons is also sponsoring Burry Port Raft Race, in Burry Port Harbour on July 22 starting at 11am. CAPTION: Dawsons’ Senior Partner Chris Hope (left) with members of Newton Primary’s school council and PTA member and school governor Claire Davies (right). 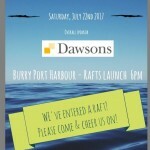 Dawsons Property is delighted to be the main sponsor of the Burry Port Harbour Raft Race on Saturday, July 22. The estate agency, which has one of its main branches in Llanelli, is heading up the event which is raising money not only for the Burry Port RNLI but also the Afia Banjul Football Academy in Gambia. 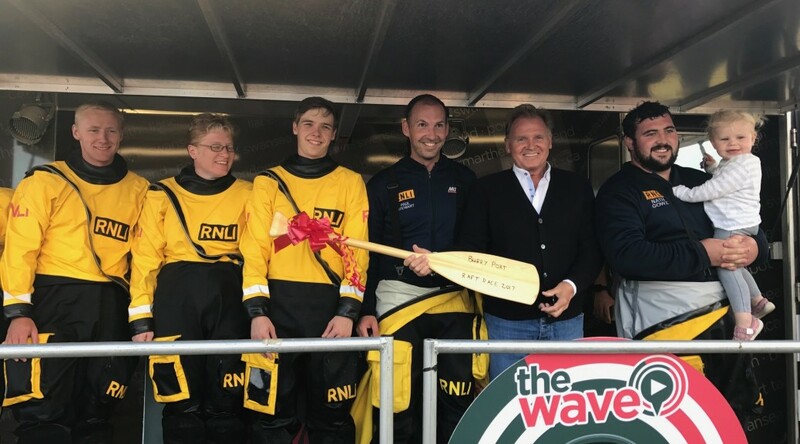 “We are absolutely thrilled to be sponsoring this event in Burry Port but we will also to be taking part in the raft race itself,” said Dawsons Senior Partner Chris Hope. 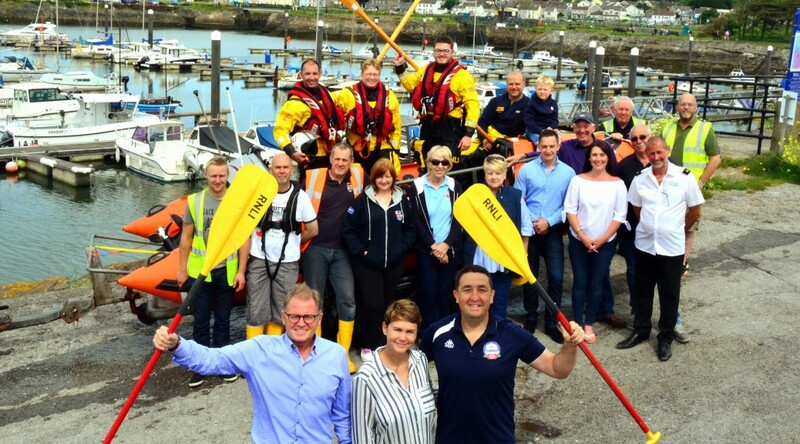 “Many of our staff are local to Burry Port so it was natural for us to support this fun and very worthy event which is going to be a great day for the family. 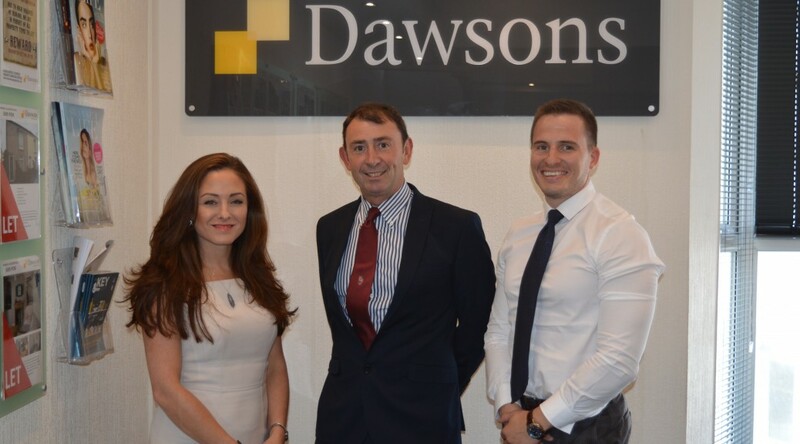 Dawsons Estate Agents are to continue their longstanding sponsorship of the ever-popular Cracker 7s, which takes place during a three-day festival of rugby over the August Bank Holiday weekend in Underhill Park, Mumbles. And organiser Martin Rodwell, chairman of Mumbles RFC, has praised Dawsons’ loyal sponsorship of one of Mumbles’ best known social events. “It’s only because of Dawsons’ continued support over nearly two decades that the Cracker 7s is still able to exist,” said Martin. 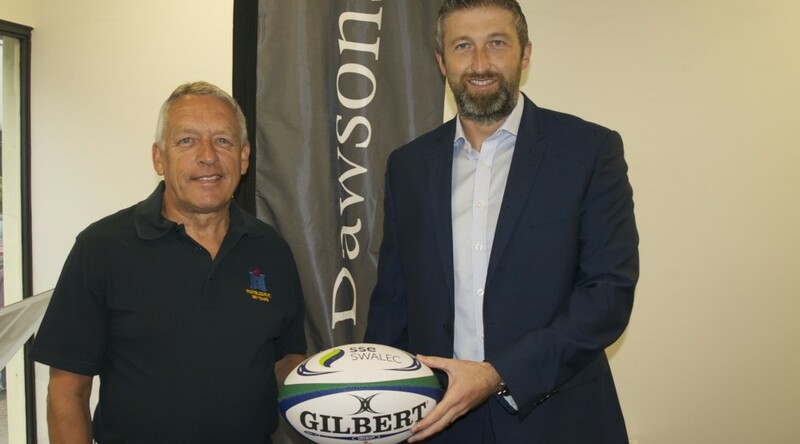 Partner at Dawsons, James Dawson said: “It has been a pleasure to be associated with the Cracker 7s both as a sponsor and someone who played in the event in my younger years. This year the event has special significance as the weekend of events begins on Friday (6.30pm) with a game in memory of Jonathan Thomas, who lost his life in tragic circumstances last November, between a Mumbles XV and a Jon Thomas Invitation XV. The actual Cracker 7s tournament begins at noon on Sunday with a £300 prize on offer for the winners. That is after a junior and mini’s tournament and family fun day on Saturday.